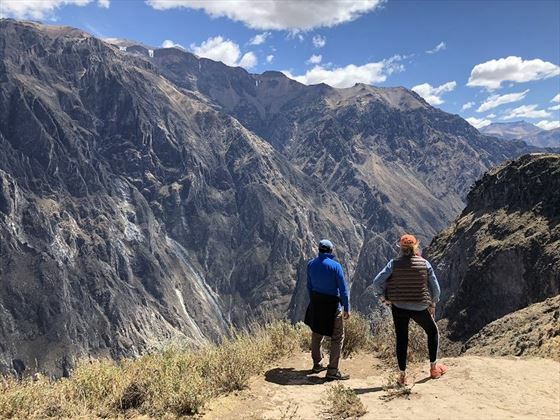 Immerse yourself in a wonderful 12-day small group tour through Peru’s greatest sights, from the historic capital of Lima, ancient Inca Fortresses and the magnificent site of Machu Picchu, to traditional little villages, ambient markets and fascinating cultural demonstrations from the locals. 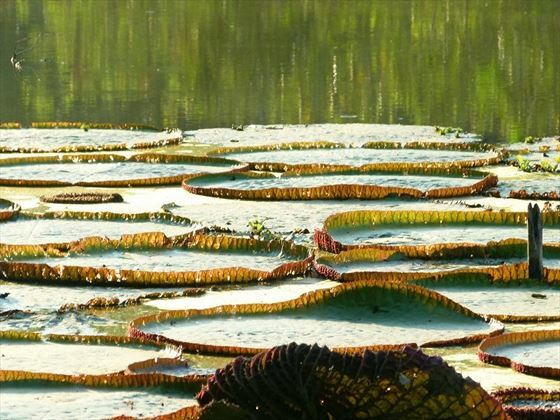 You’ll then travel along the Peruvian Highland and venture deep into the luscious Amazon Rainforest, where you’ll hike, boat and explore this incredibly diverse, beautiful scenery; You will also learn about the medicinal plant life found in botanical gardens here. Starting and ending in Lima, you will get a true glimpse into this fascinating country’s culture, heritage and rich history, and along the way you will stay in a selection of lovely hotels and lodges (SAT). 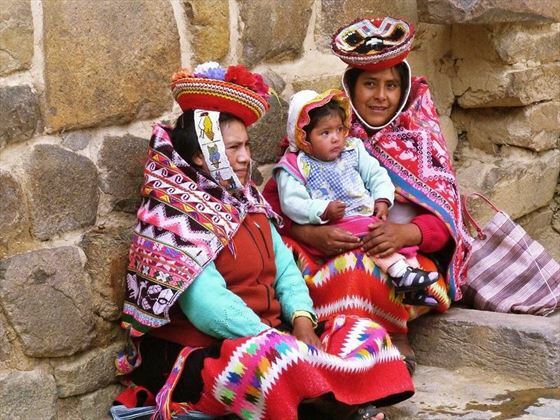 Visit a very traditional village named Taquile, where there are no roads or electricity and you can find handicrafts, a small shop and church. Upon arrival at Lima Airport, you will be welcomed and transferred to your hotel for check-in. 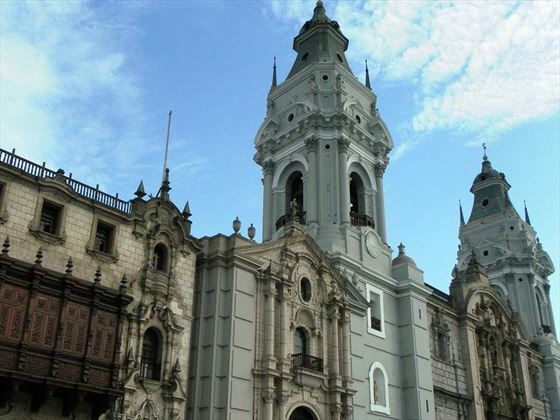 Today you will enjoy a sightseeing tour through Lima, the capital of Peru. 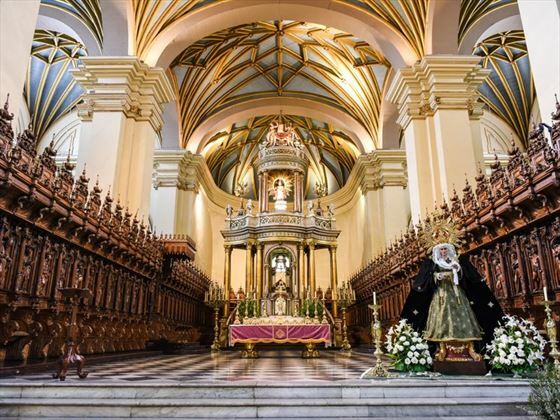 You’ll see the famous buildings and architecture of Plaza de Armas, as well as the largest collection of religious art in America and vast underground catacombs at the beautiful San Francisco Monastery. Afterwards, you’ll enjoy a guided tiurof one of Lima’s most noted museums, the Rafael Larco Archaeological Museum, home to the world’s largest private collection of Peruvian pre-Columbian art. You’ll also have the option to visit Parque de la Exposicion, one of the biggest and most beautiful waterparks that exists within a city. This will be followed by a wonderful dinner in a famous restaurant and a fantastic show of traditional folk dancing. 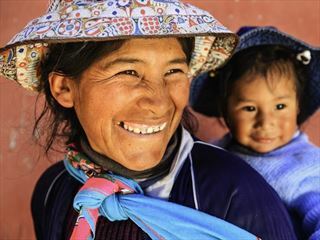 Transfer to the airport for your flight to Cusco; on arrival, you will start the tour with a visit to Chinchero community. 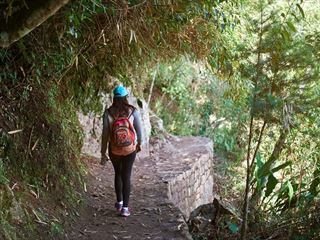 Here lay the remains of what was the royal hacienda of Tupac Inca Yupanqui, as well as beautiful colonial temples built on Inca’s foundations. 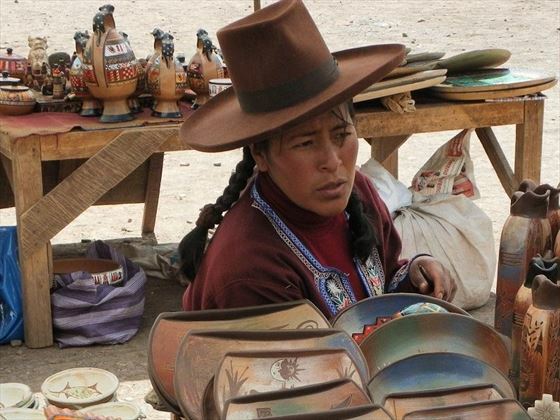 The main attraction of the day is Cusco’s Sunday Market, originally dedicated to handicrafts and textiles made in authentic pre-Columbian style. You will then be transferred to ‘El Mirador de Racchi’, where you’ll enjoy a splendid view of the Sacred Valley. 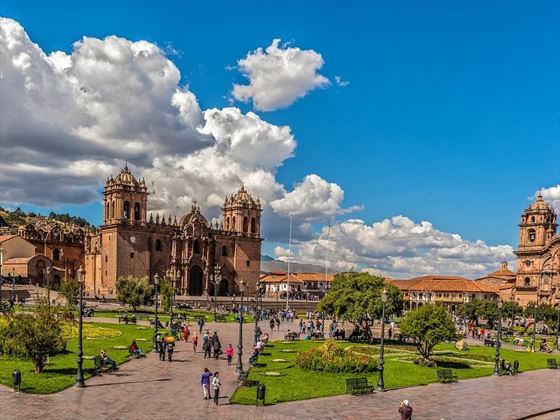 Today will begin with a half-day tour of Cusco, where you will be shown the exact centre of the Incan Empire, the Plaza de Armas; here, you will find the cathedral built on the ruins of the ancient Inca Palace. 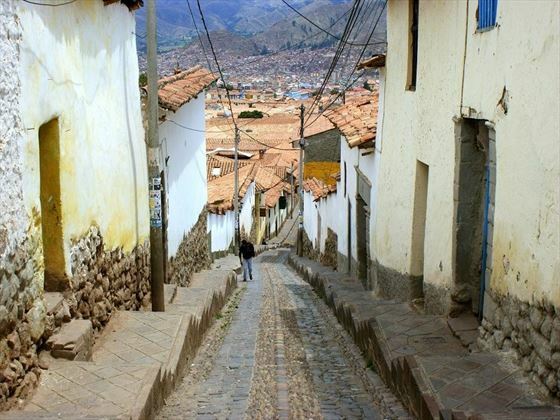 Next, you will wander around the beautiful colonial architecture of the Old Town before proceeding to Sacsayhuaman, a ruin site that's situated three kilometres above Cusco, offering magnificent views over the city. Afterwards, you can visit the historic surrounding ruins before enjoying an afternoon at leisure. Today will be a full day bus tour from Cusco to Puno. 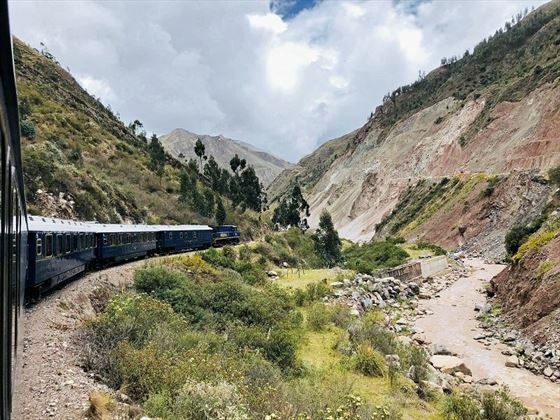 You’ll travel through the Peruvian highland along the snow-capped peaks of the Andes, small villages and the tallest point in La Raya. 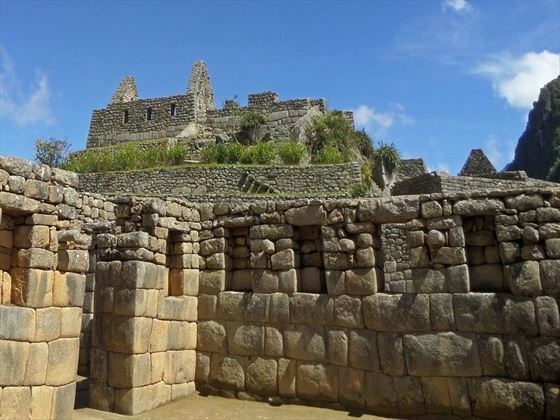 On route, you will visit the town of Andahuaylillas, the ruins of Racchi and the small town of Pucara. Lunch will be enjoyed in a restaurant en-route. In the morning, you will be picked up from your hotel and transferred to Puno’s dock where you will depart towards the Uros Islands on Titicaca Lake. 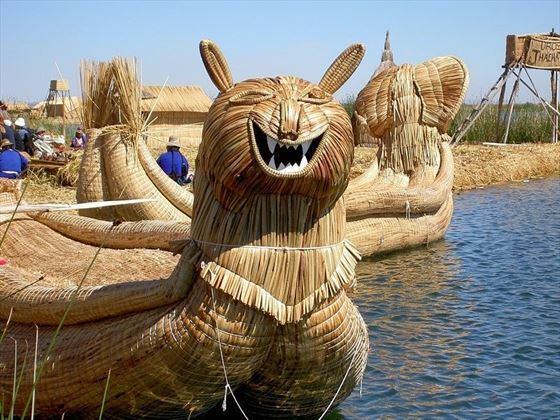 The Uros consist of 40 small floating islands made of packed totora (reed), located within the Titicaca National Reserve. You will then continue by boat to Taquile Island; there are no roads or electricity in Taquile, and the locals have maintained their traditions and culture, many still wearing traditional dresses. The Taquileños are known for their high-quality handicrafts, especially for the knitting, which is exclusively performed by males. In the main square there is a cooperative shop, selling woolen goods and hand-woven items, as well as a small church. Transfer from the hotel to Juliaca Airport for your flight to lima, from where you will transfer to the hotel. Breakfast, Lunch and a Box Dinner on the plane are included. Transfer from the hotel to the airport of Lima and fly to Iquitos. On arrival in Iquitos, you’ll have a brief city orientation before enjoying a boat journey down the Amazonas River to your accommodation for the night. 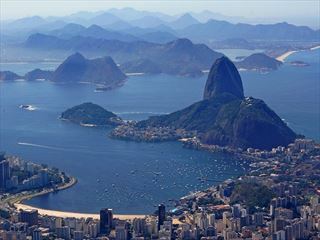 In the Afternoon, you’ll take a 90-minute hike in the beautiful primary rainforest reserve. This morning you’ll embark on a morning boat ride where you may catch sightings of dolphins, to visit a small village of Yagua Indians where you will learn about the culture and history with a guide. In the afternoon, you’ll take a walking excursion to the neighboring town of Indiana, a beautiful large river community with its own market, high school and small hospital. Today you’ll enjoy an early morning departure from Ceiba Tops by boat, to the ExplorNapo Lodge for breakfast. Hike the spectacular Canopy Walkway which spans over one-third of a mile, and after lunch, you’ll visit the ‘ReNuPeRu’ Ethnobotanical Garden where over 240 medicinal plants are cultivated by a local shaman who will explain the uses of these plants. Return to Ceiba Tops in time to enjoy the pool and hammocks before dinner. Depending on your flight time back to Lima, you have the choice of a morning walk or a boating excursion to further explore this luscious rainforest and beautiful Amazon River. If you take the early morning flight, there will be no further excursions today. Upon arrival in Lima, you’ll catch your flight back home. An extension night in Lima may be necessary depending on your international flight schedule. 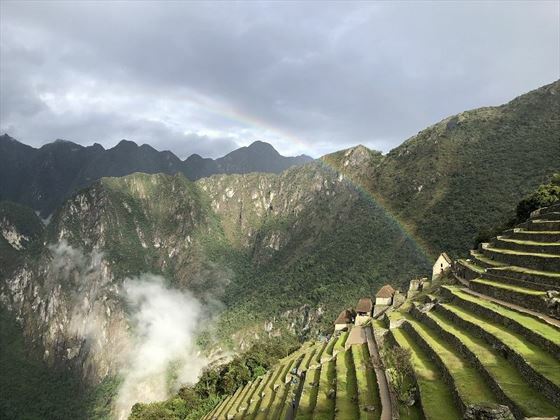 Exclusive offer Save up to £150 per person when you book your Peru holiday now. Book by 30 Apr 19.